Each Club (Dojo) has a main Instructor (Sensei) know as the “Head Instructor” and two assistant Instructors. Instructors have to attend a regular Instructors course, which helps them to share and learn, and keep up with new guidelines and changes. All instructors are assessed and regulated by the Chief Instructor every three months for their ability to teach so that the ISK maintains its high standards in Shotokan Karate. Sensei Pauline started her martial arts training in 1957, at the age of 12, at the famous Middlesbrough Judo club where she gained brown belt. She started karate at the first club in the North of England around 1961. 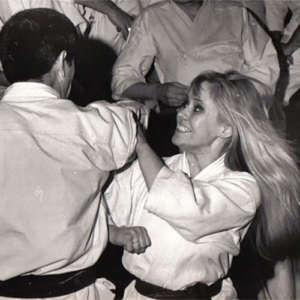 Her instructors were Sensei Kanazawa and Sensei Enoeda. She also trained with the legendary Sensei Richard Kim 10th Dan, head of the Zen Bei Bu Tokukai in San Francisco for approx 3 years. She is one of the highest graded women in the world of karate. She gained her 1st Dan from Sensei Kanazawa and from then on graded by Sensei Enoeda. She has been the founder member of all the governing bodies of Karate in England from the BKCC right up to EKGB. She has held many senior posts such as National Secretary and Treasurer, and head of technical committees. She is the toughest Karate instructor in the world! (Ask anyone who has trained with her). She has taught most of England’s top Shotokan Instructors of today, who now head their own associations as 4th Dans & 5 Dans or above. Many who went on to become National and International champions, and JKA champions, in Kumite and Kata. This includes her husband Lee Bindra 7th Dan chief instructor of the I.S.K. She was the founder member of the KUGB which in the 70’s and 80’s was the largest karate organization in England. It had approx 20,000 members in its hayday and founder of Thames karate clubs, which in the late 70’s was 10,000 members strong. As the highest ranking female in Europe and possibly worldwide she is a legend in her own life time. 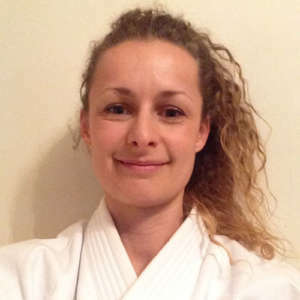 She is the founder and President of Blitzsport International the largest Martial Arts Supply Company in the UK and gained a degree and a Masters in Theology. “It is not the number of trophies or Dan Grades that I have won or achieved that give me a sense of success, it is the strength and discipline of my character which has been tempered through the art of Karate and the Love of God which has helped me survive and succeed in all that I do. I thank The Lord Jesus for everything that I am and have achieved”. Sensei Pauline was inducted into the Masters Hall of Fame in 2015. Started karate in 1972. Taught by Sensei Pauline Bindra 8th Dan / Sensei Enoeda 9th Dan and Sensei Richard Kim 10th Dan (USA). Won many National and International Kumite and Kata tournaments and member of the all styles Junior and Senior England Squad in the 70’s and 80’s. Taught many National and International Champions and responsible for teaching the Instructors of the I.S.K. Chief instructor and Grading examiner of the I.S.K. Sensei Lee set up the ISK with Sensei Pauline on their return from the US. Sensei Lee has taught Shotokan karate for over 30 years and has mastered the art of many weapons such as Tonfa, Bo, Jo, Nunchucku. Chairman of the Board of Instructors. Sensei Lee was inducted into the Masters Hall of Fame in 2015. 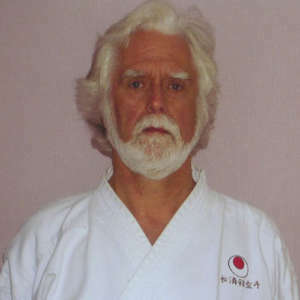 Started karate training in the early 1980’s and is now a 5th Dan senior instructor in the I.S.K. and Qualified Association Referee. Started training in the style of Wado Ryu Karate before moving on to Shotokan. Has trained in the art of Iaido (Sword) and various wooden weapons. Born in Catania (Italy) on the 9th January 1957, he started karate there at the age of 15 under the instruction of Sensei Giuseppe Grasso (now 8th Dan). After 3 years he obtained his 1st Kyu and he was also regional champion in individual Kumite and Kata. He continued with martial arts during his period in the Special Forces, as a naval officer. Here he complimented it with armed and unarmed combat and the use of Sai, Nunchaku and Tonfa. In October 1990 he joined the I.S.K. and he obtained his 3rd Dan in February 2002. He is now the Head Instructor at the Dartford Club on Monday and Wednesday. He is Chairman of the Annual Championship Organising Committee. Member of the Board of Instructors. I started Karate at the age of 8 with Ken-No-Sen karate club under the instruction of Sensei Rob Hawkins. I went on to gain my 1st Dan black belt in March 1994 at the age of 14. 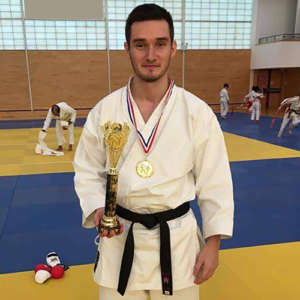 I have competed in many tournaments in both kata and kumite achieving various titles such as; British All Styles National Champion, BKO (British Kids Open) Champion, Kent Open champion, Harlow Open Champion, London Youth Games Champion and many more. One of my most memorable achievements was gaining silver in the EKGB National Championships cadet category and therefore a place in the England elite squad with instructor Ticky Donovan. 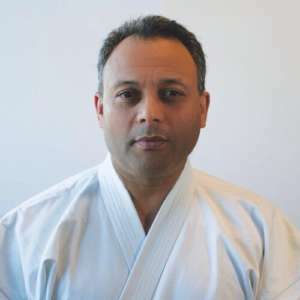 I now have over 15 years of coaching experience with both Ken-No -Sen and more recently the ISK, and also as team manager for the Bexley Borough Karate team in the London Youth Games. Since September 2012 I have been a proud member of the ISK, training at the Sidcup dojo on Sunday mornings under the instruction on Sensei Lee Bindra. I gained my 3rd Dan in April 2014 and hope to go on and achieve many more successes with the ISK. Currently the Head Instructor at the Bexleyheath Club on Tuesday. 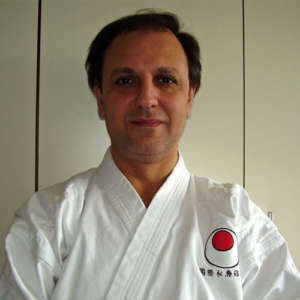 Sensei Howard started training in 1990 with the I.S.K under Sensei Pauline Bindra at the Bexleyheath Dojo. Due to personal commitments, he stopped training for a few years but then recommenced (with his daughter Sam) within the KUGB; being graded by Sensei Enoeda. Due to injury he stopped training for a few years but returned to the I.S.K in 2001 (with his son George) and since then trains 2-3 times a week. 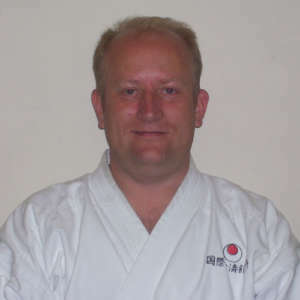 Sensei Howard achieved his Black Belt in 2004 and his 2nd Dan in 2012, both under Sensei Lee Bindra. He has been an assistant instructor for over 10 years and is now the Head Instructor of the Swanley Club on Friday and Sidcup Sports Centre Club on Sunday. Started karate in 1993 and is now a 2nd Dan. 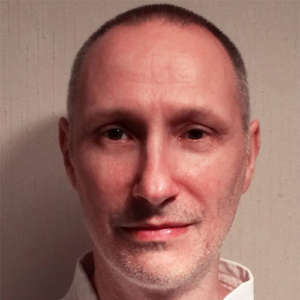 Has been teaching since 1996 and is the Head Instructor at the Greenwich Club on Monday, Eltham Club on Tuesday and Belvedere Club on Wednesday. Now is part of the Senior I.S.K. referees and Judges committees. And is a Senior member of the I.S.K. organising committee for the annual Championships. Chairman of the I.S.K. Marketing and Enrollment committee. Sensei Tony started karate in 1973, where he originally started in Wado-ryu and joined the I.S.K. in 1983 when he switched to Shotokan. 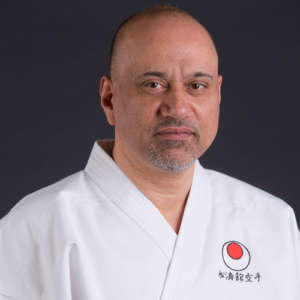 Sensei George started karate in 2001 alongside his father (Sensei Howard) at the Swanley dojo under Sensei Majid where he trained twice a week. As he progressed, he started to train more and at different clubs such as the Sidcup Dojo, which was instructed by Sensei Lee. Sensei George was awarded his black belt in 2007 and since then has trained and taught regularly at various clubs. In 2015 he moved to Reading and brought the I.S.K. with him where he is now the head instructor of the Reading dojo.